在win2003上安装tsm 的server 端.在centos4.4 上安装client端.在server端定义一个DISK存储池diskpool,一个磁带存储池testpool,然后在client端重复备份一个比较大的文件,使一盘磁带的使用率达到100%.然后再定义一个disk存储池huishoupool,将testpool的回收池设置为 huishoupool,将huishoupool的nextpool设置为testpool. 设置完成后,使用q vol tapename f=d查看磁带详细情况. 有一项”Pct. Reclaimable Space:”标识出,此盘磁带有多少可回收空间,在此之前,可以使用exp in命令来启动过期进程,即让TSM来判断有那些备份版本已经过期,可以从磁带上删除,退出所占用的空间. 查看过可回收空间后,如果超过了60%,并且设置好了回收池.则TSM会自动开始回收,如果没有设置回收池,TSM不会启动回收进程.如果可回收空间不到 60%,但却有回收需求,可手动upd 存储池,通过查看q stg stgpoolname f=d的”Pct. Reclaimable Space:”选项查看修改是否成功. 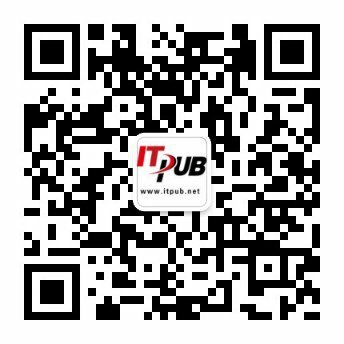 回收进程结束后,可通过q vol命令查看回收结果.并需要通过upd stg huishoupool hig=00 low=00命令来将回收池中的数据迁移回testpool,完成后,可以删除掉回收池,避免浪费磁盘空间. ANR1044I Removable volume TSM1 is required for space reclamation. ANR1176I Moving data for collocation set 1 of 2 on volume TSM1. ANR8340I FILE volume D:\TEMP\00000006.BFS mounted. ANR0513I Process 11 opened output volume D:\TEMP\00000006.BFS. ANR8336I Verifying label of 4MM volume TSM2 in drive TESTDRIVE (mt3.0.0.2). library TESTLIBR within 60 minutes. ANR1041I Space reclamation ended for volume TSM1. ANR4932I Reclamation process 11 ended for storage pool TESTPOOL. Bytes reclaimed: 8654369819, Files reconstructed: 0, Unreadable files: 0.